Easter Story | Let their light shine! Our story has a sad beginning – Can you look sad? Jesus died on the Friday. He was put in a tomb (cave) and a big stone was put over the entrance. His friends were very sad and frightened. A whole day went by – that was Saturday. The next day was Sunday. A lady called Mary went to the tomb. When she got there something had happened. The big stone had been moved. What could she do? Who would help her? Mary knew someone who could help her – Peter! She went to find Peter and John and told them what had happened. They listened. Then they started to run. They were running as fast as they could to the tomb. John got there first and looked inside. It was empty. Then Peter got there. He didn’t just look inside. He walked right in to the tomb. It was empty! Jesus wasn’t there anymore. The Bible tells us that that he had died and then come alive again. This is happy news for you and for me. I used pictures from The Tiny Treasures He’s Alive Flannelgraph . 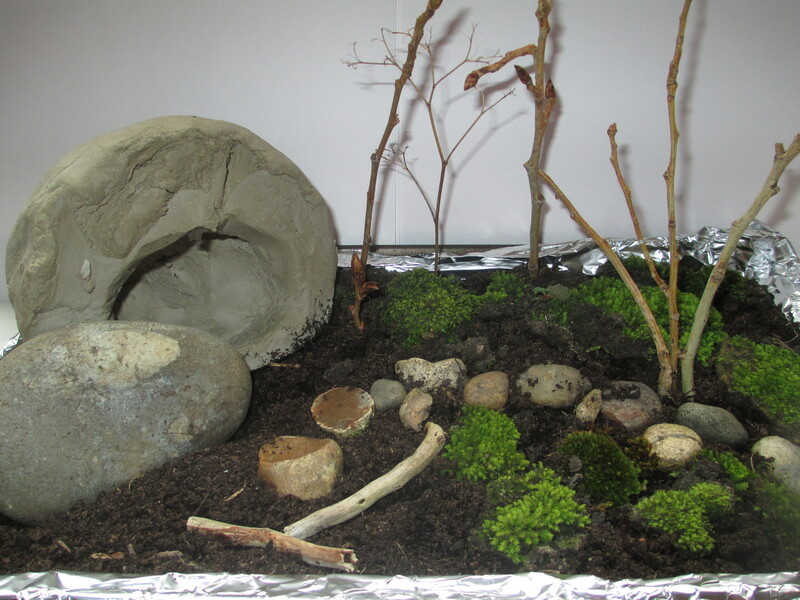 After the story you could show the children an Easter Garden.